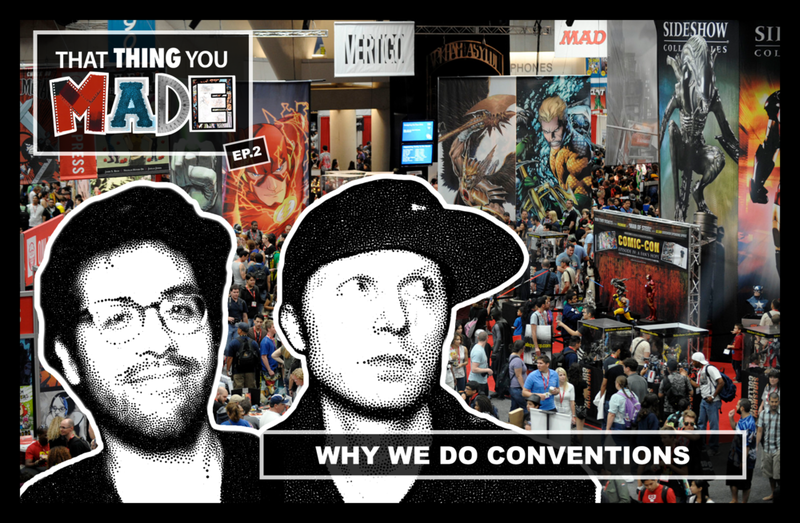 Today the guys talk about that thing someone made: conventions (all of them) – comic cons, trade shows, Vidcon, and more! Denis and Roberto discuss why they do conventions. Are they important to do as a small business owner? Are they flourishing or no longe viable ways to start and grow a business?